What a season. Hanna’s end of the year review. | Geeks of Shred! Greetings fellow geeks, shreds and friends (many of you hit all three categories at once). As you can see, this is the first new Geeks post in a long time. As what has been a very strange season winds down I wanted to write a post catching you up. So why was 2013-2014 so different? Well my partner-in-crime Mr. Carlos Romero moved out to Tahoe with his lovely wife Wendy. Carlos spent the season coaching some very talented kids at a little resort named Northstar. While we weren’t able to ride together or chat too often, I did follow his season and it looked like a winner. I’m beyond stoked for him that he took the plunge, headed west and made it happen..all the way up to taking his crew of shred monsters out to Copper Mountain for Nationals. As for me? Well this was the year to get some things, namely my right shoulder, straightened out. After 7 years of repeat dislocations (and a previous surgery that didn’t work out) I went and had a good doc do an open surgery on the shoulder to put everything back together. The procedure was done in October and he asked me to take a full year off of sports to heal and rehab. I agreed and off we went. For the first 3 months afterwards I was in a sling and not allowed to move my arm. This drove me nuts. But you know what they say about “when one door closes.” I used my down time to do a lot of things that I normally would be much too busy snowboarding to do. I moved to Vermont full-time and started exploring the woods on snowshoes. This lead to a desire to learn to navigate with a compass and things progressed from there. Its amazing how much you notice when you aren’t just looking for an open line to ride. I learned more about my town and all the cool things located in my own backyard that had been hiding under my nose fore many seasons. PT started with a bang. The good folks at Elevation Physical Therapy in Waitsfield, VT sat down with me and customized a rehab plan for my shoulder. We agreed that a little less flexibility would be a good tradeoff in exchange for maximum strength and stability. I hit the gym hard and after 3 months of forced rest I was happy to be taking charge of my situation. One of the PT’s noted that I might be the most excited PT patient he had walk in the door. I took it as a compliment but I think they found it a little unnerving trying to figure out how to dial it back at first. Well thanks to those guys things got stronger…fast. PT started in January and by late February they told me I could get back out on snow. This was completely unexpected and mellow cruisers never looked so good. Since I had to take it easy I took the chance to ride a ton of different boards and play with movement concepts. To cap it off Never Summer was kind enough to send me 2 very fun snowboards to test out and one of them became my daily ride (more on that another time). In the last few weeks I’ve enjoyed riding with my friends and exploring the mountains. 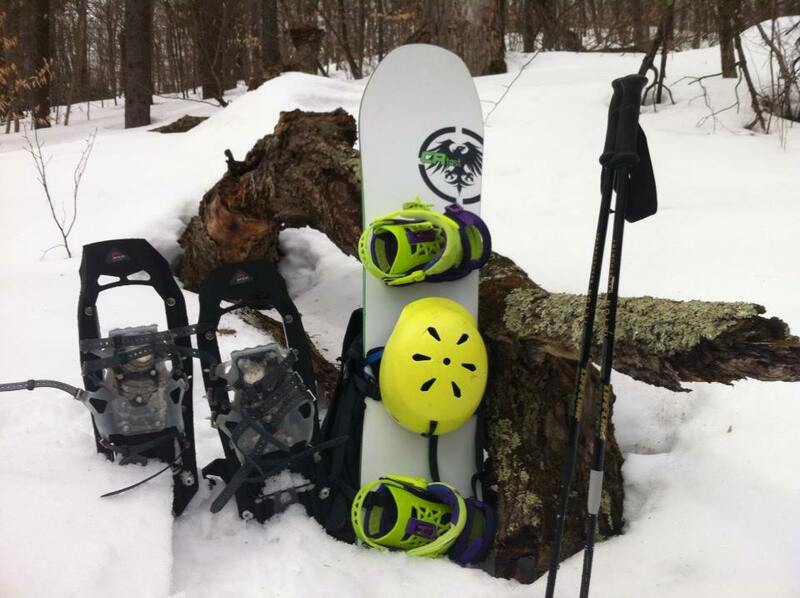 I finished PT last week and celebrated by once again exploring the woods on my snowshoes, this time with the addition of my snowboard. It was so rewarding to hike out on a solo mission and take sunny tree laps in spring corn. The season isn’t over yet but as it winds down I’m stoked to be making the most of it. Every day I ride this winter is a bonus and I’m hoping to cap it off with a splitboard mission somewhere. This has been way more personal than most of our content on geeks, but I wanted to share the events that made the year what it was. 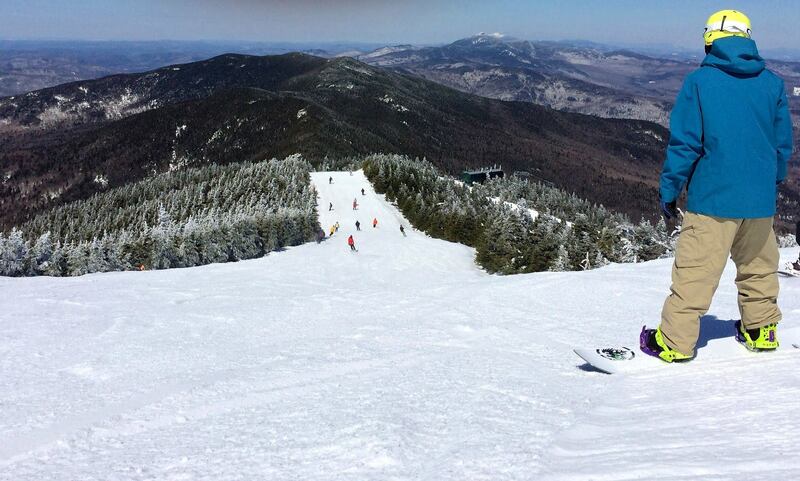 If you’ve made it this far, thanks for reading…I hope you had an awesome season wherever you ride. As for me, I’d like to thank my family for supporting me and all my friends for keeping me stoked on snowboarding when I couldn’t ride. Patti for putting up with all my craziness (dark times..) and Hannah and Steve at Elevation PT for getting me strong. See you out there!